An investor backed management buyout (MBO) has been announced by Irish construction company Walls Construction. 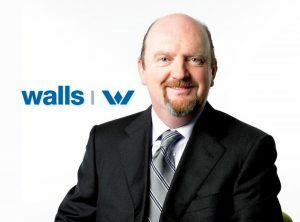 Founded in 1950, Walls Construction has been acquired by a new holding company controlled by the existing management team and private investors. The acquisition includes the company’s headquarters building in Dublin and Munster regional office in Cork. The investors from the management team are the Directors of Walls Construction, Willie White, Joe McGillycuddy, John Cahill, Adrian Corcoran, Frank Kelly and Eugene O’Shea (pictured). They are backed by a group of private investors, Gerard O’Shea, John Collins, Gerry Harrington and Peter Boylan. A key second participant is an investment vehicle, headed by Dr Joe Walls and Aidan Walls, representing members of the Walls family not involved in the previous executive of PJ Walls Holdings. The MBO team and investors were advised by Deloitte, Eversheds and Mason Hayes & Curran. In a message to the employees, clients, design teams, subcontractors and suppliers of Walls Construction, O’Shea thanked them for their loyalty over the years and welcomed the commencement of new flagship projects such as the new Central Bank Docklands building, the LinkedIn European Headquarters and the DAA office building redevelopment at Dublin Airport. “We will continue to invest in personnel and in processes to ensure that Walls Construction remains in the top tier of the Irish construction sector in terms of quality and of safety” said O’Shea. In 2013 Walls Construction wrote off €19.2 million owed by its parent company which has paved the way for the completion of this MBO. As a result of the MBO, Walls Construction will operate under a new ownership structure and is now separate from PJ Walls Holdings Group.